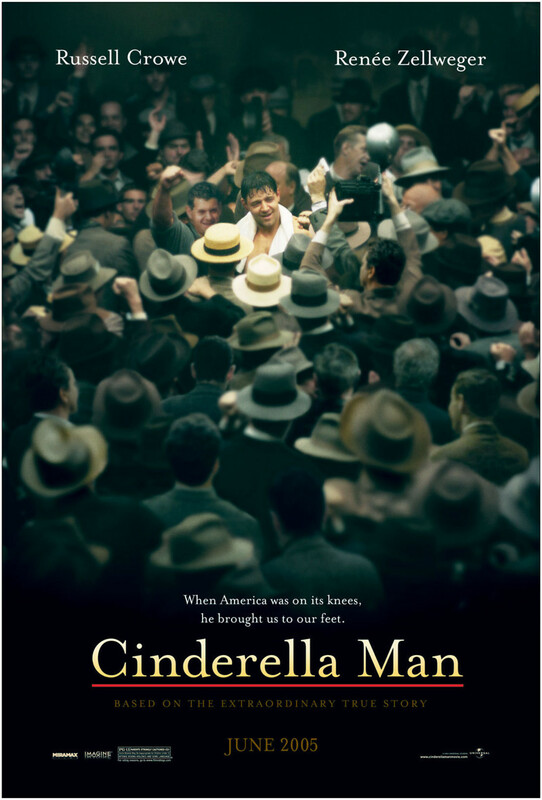 A true story of James Braddock, a boxer in the early 1930s becomes a symbol of the dream of everyone who was beaten down by the Great Depression and hoped to emerge with a better life than before. James thought that his prize-fighting days were behind him, but an opportunity arises for him to give his former glory another chance to shine. With everything on the line, he decides to prepare for the match of a lifetime. The sheer grit and determination James displays throughout the film serves as an inspiration to a down and out populace. His victory is intimate in that it means a significant change in fortune for his family, but it gives hope to the struggling masses.